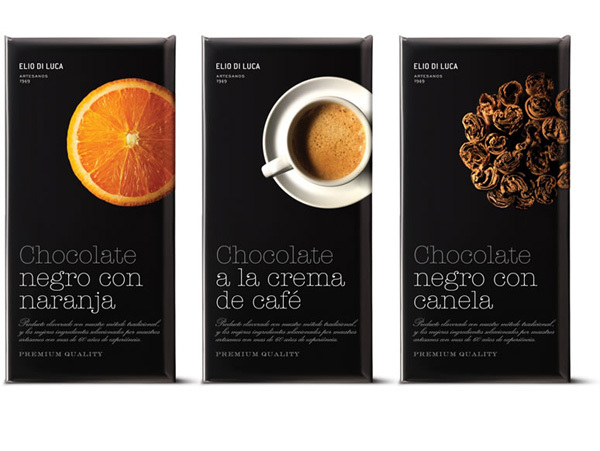 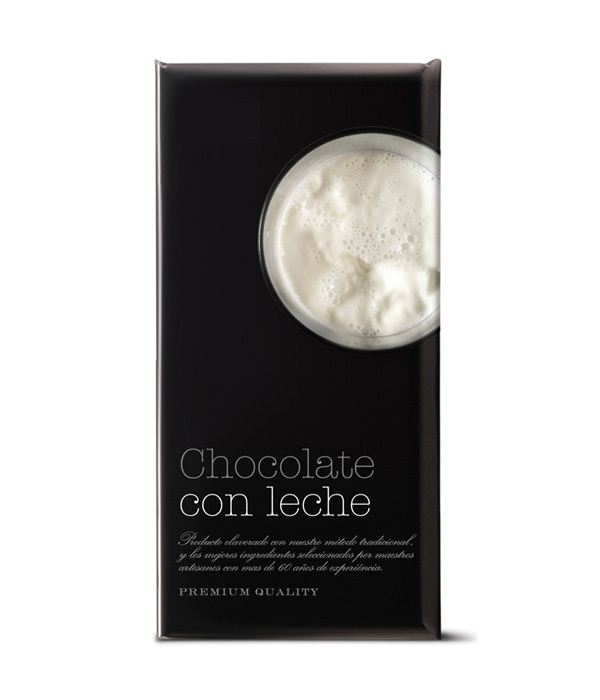 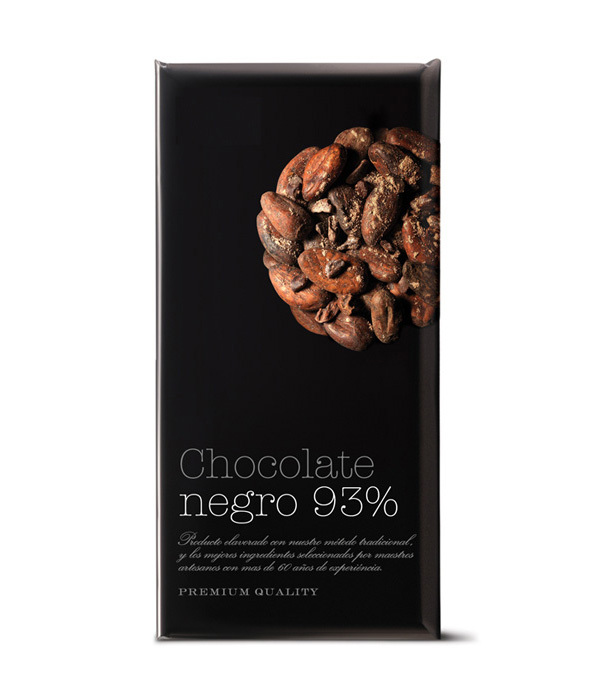 From Spanish studio Puigdemont Roca comes packaging design for Elio Di Luca chocolate. 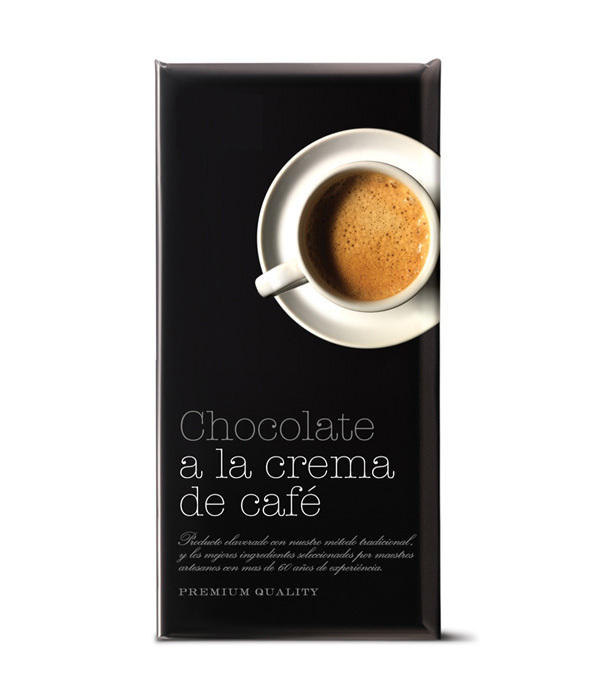 Project description from Puigdemont Roca: In a hyper-competitive market, standing out from the competition is crucial. 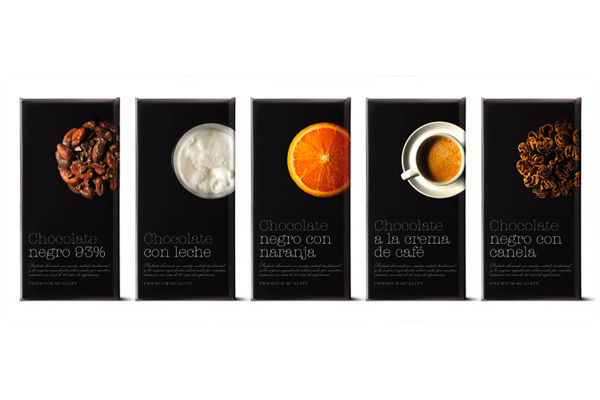 To this end, we decided to show the basic ingredient of each flavour of premium chocolate with a fresh perspective, shooting the images from a zenith angle. 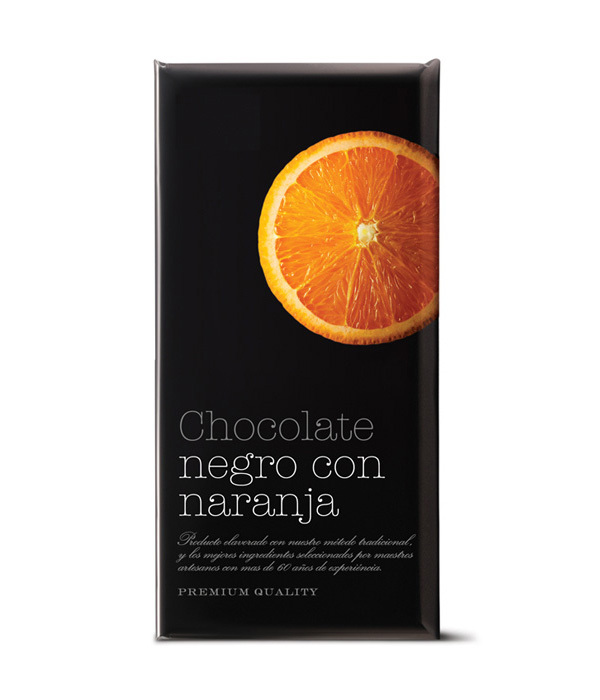 In this way, we managed to convey the concept of ‘top end’, and in turn raise a range of emotions in the consumer.